Plan ahead: Decide what you want for dinner before you go to class (I usually choose a piece of chicken and a vegetable). If you freeze your food, defrost it in the fridge overnight so it’s ready to be marinated in the morning. Use plastic bags: No need for fancy containers that make for a messy clean up. When choosing a dressing, stick to something that is acidic and oily, not creamy (i.e choose Italian vinaigrette over Caesar dressing). 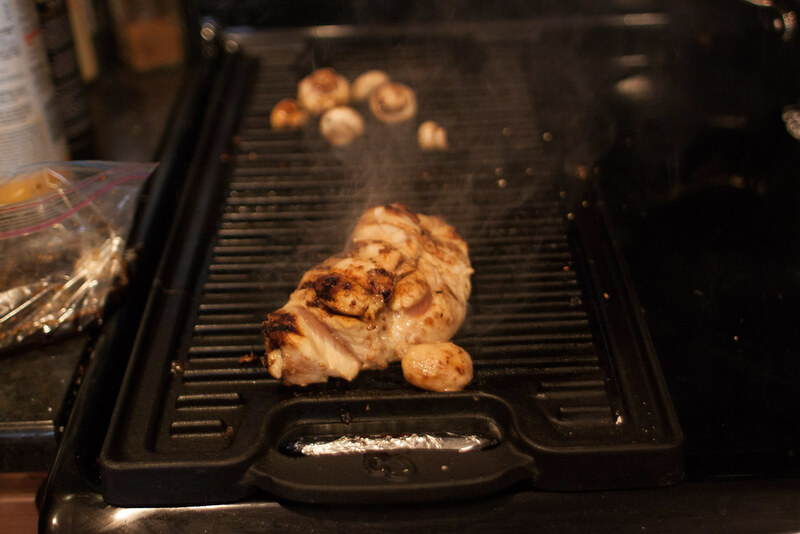 Acid allows flavors from the marinade to penetrate and soak into the food while oil provides that juicy texture we love. Refrigerate: Always marinate in the refrigerator — bacteria will grow like crazy if food is left out at room temperature. 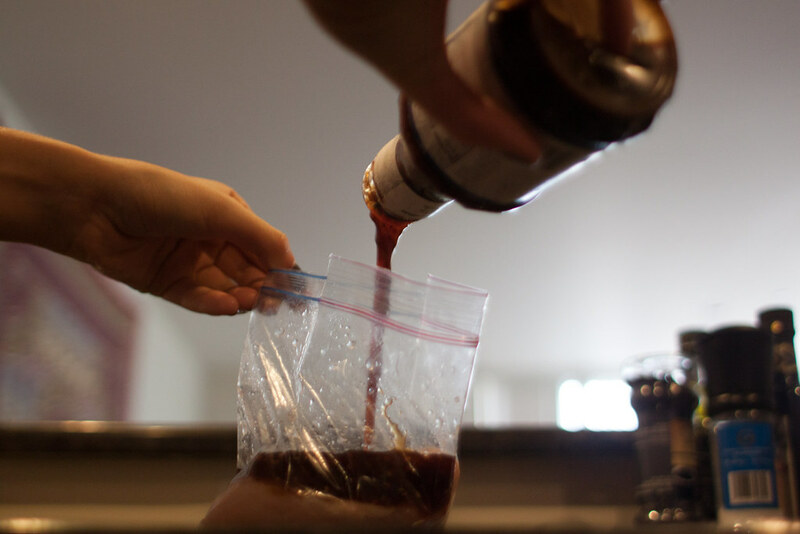 Leave food marinating in the fridge for up to 5 hours while you’re in class (or not…) for the day. 1. Before class, put your food in plastic baggies (I chose chicken and mushrooms). Use separate baggies for meat and veggies. Pour chosen marinade into baggies. 4. After 4-5 hours, heat up a pan with non-stick oil. Grill pans work best, but if you don’t have one, a regular pan works great too. 5. Take veggies, meat, fish, etc. out of plastic baggie from fridge and place straight in the pan. 6. Cook on both sides until tender (cooking times will vary based on type of food). 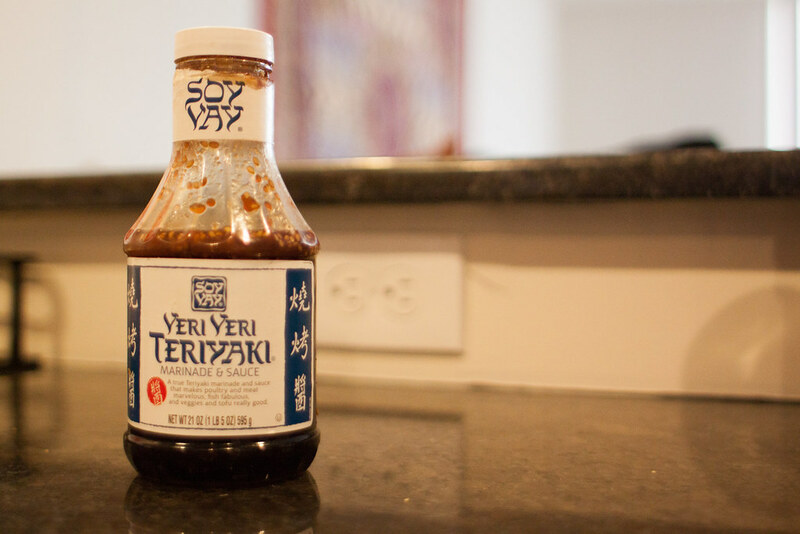 Pair with a salad, quinoa or brown rice and enjoy your healthy, delicious and homemade meal.